Timeless styling and tons of built-in functionality make this the perfect storage solution for today's busy lifestyle. 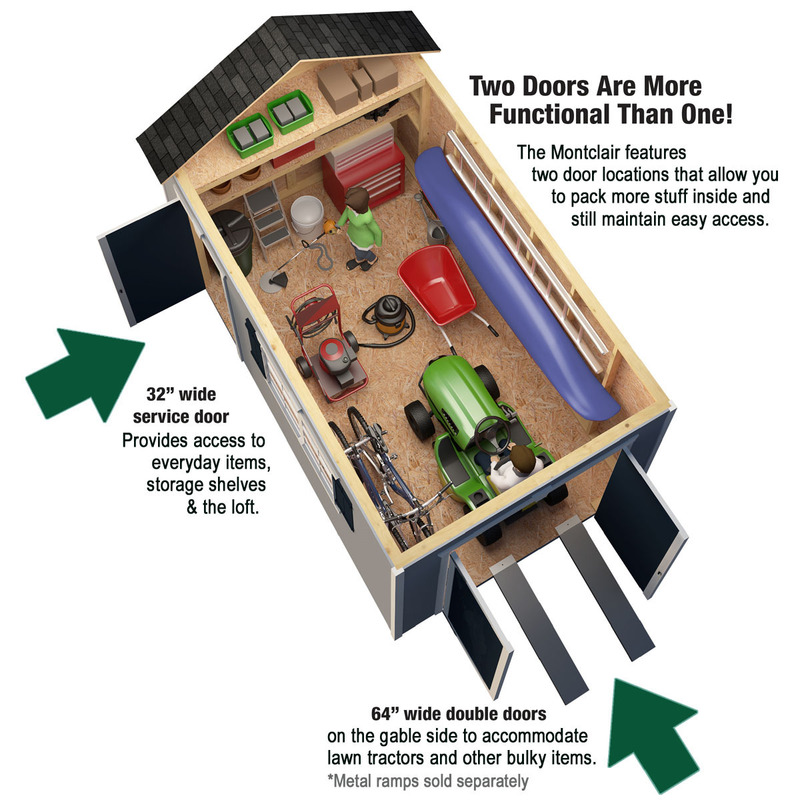 64" wide double doors can easily accommodate lawn mowers, tractors, bicycles, wheelbarrows and much more. 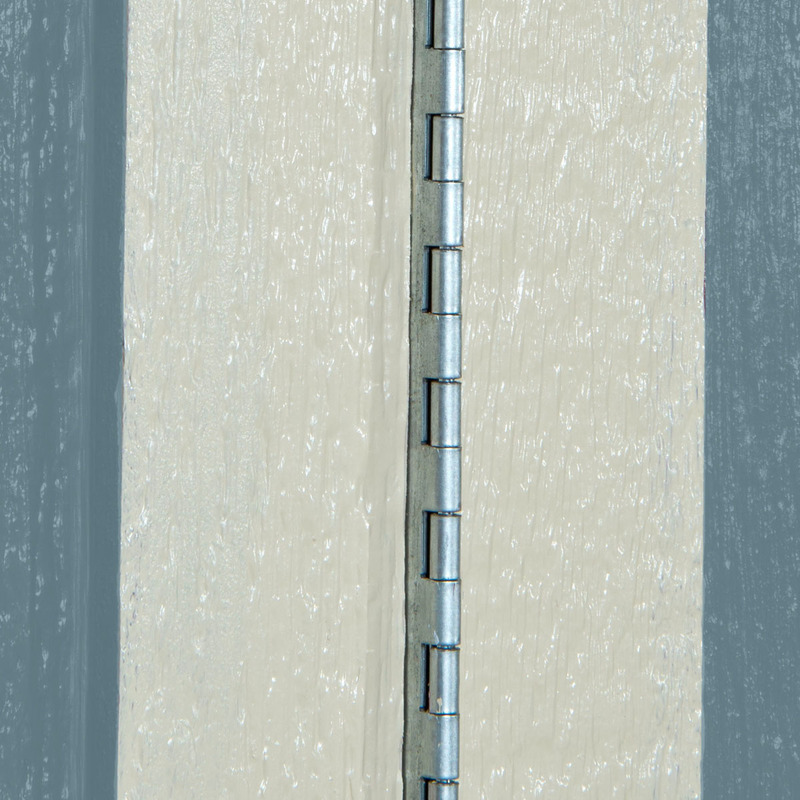 7' tall side walls give you plenty of vertical storage space for weed trimmers, shovels, rakes and much more. 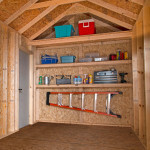 Two access points give you the freedom to store items in any location of the shed and still be able to grab items on the go. 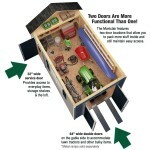 Includes two shelves and a storage loft to make you feel like an organization master. 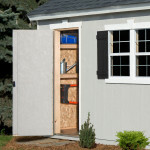 Easy access 32" side entry door makes it easy to grab items on the go. 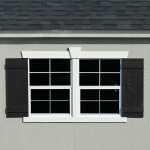 Two operable windows and shutters make it feel like a home away from home. 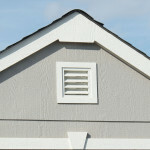 Deluxe gable vent promotes air circulation and reduces heat. 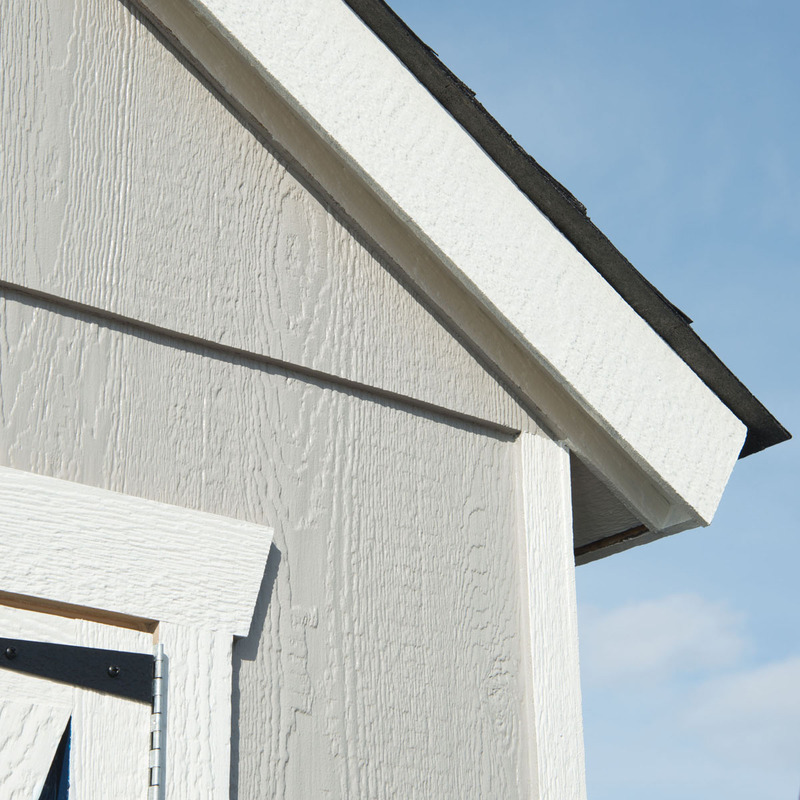 Extended roof overhangs keep excess moisture away from your building. 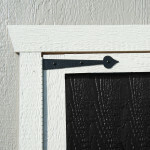 Decorative faux hinges show off a classic look. 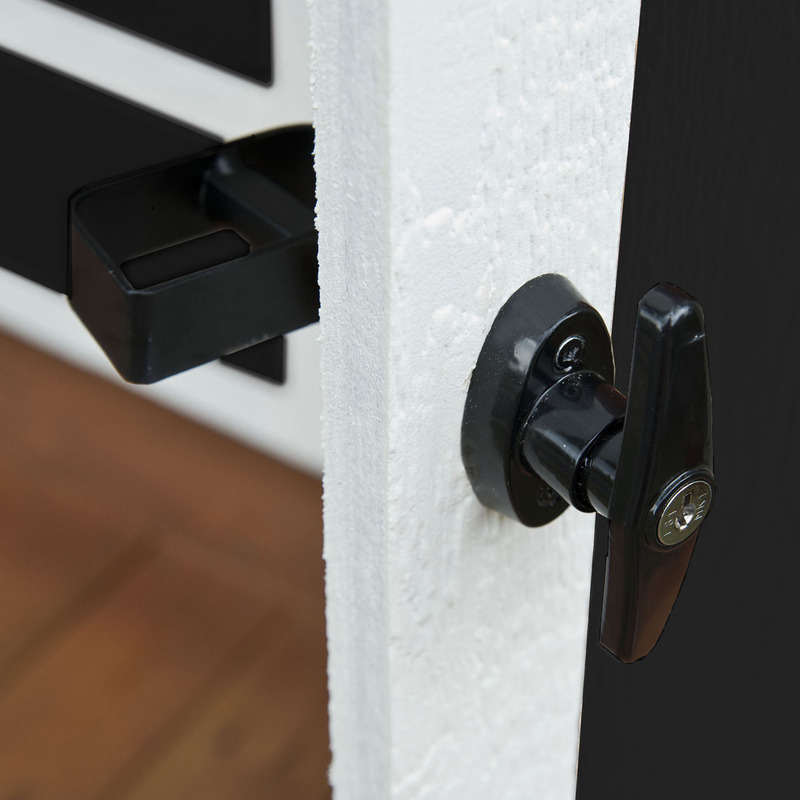 Heavy-duty locking T-handle provides maximum security of your items and easy access when you need it. 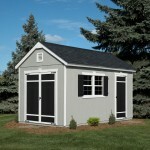 This innovative, 8'x14' wooden backyard shed gives you a unique blend of outstanding function and gorgeous visual appeal. You get 7’ sidewall height and 10’ peak height; a total 934 cubic feet of convenient space – ready to be used for storage, work, or play. 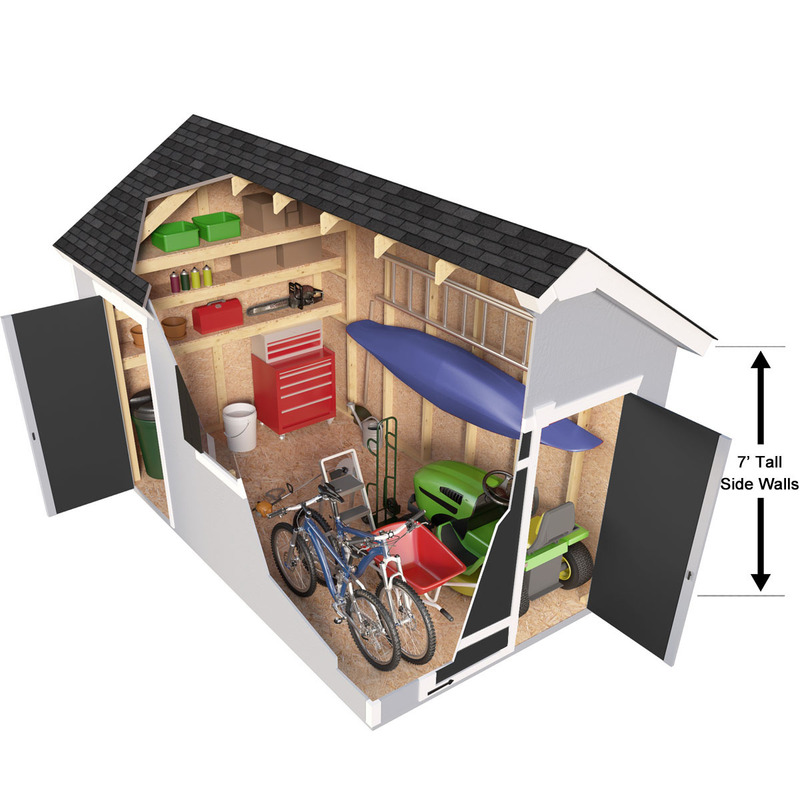 This wooden shed comes with two separate entryways - making it easy to carry large equipment in or out, and letting tons of natural light and fresh air flood your shed on sunny days. In fact, this beautiful structure includes 2 operable windows complete with real shutters you can open and close at your leisure. 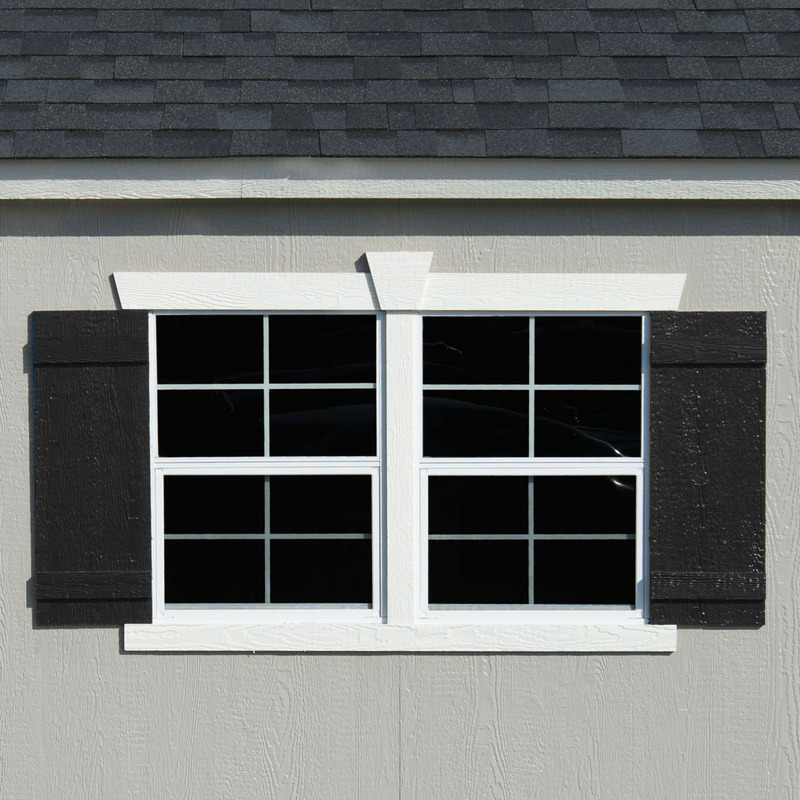 Even better, the side door and windows feature flexible placement, so you get to choose the view and entryway that’s best for your property and needs. 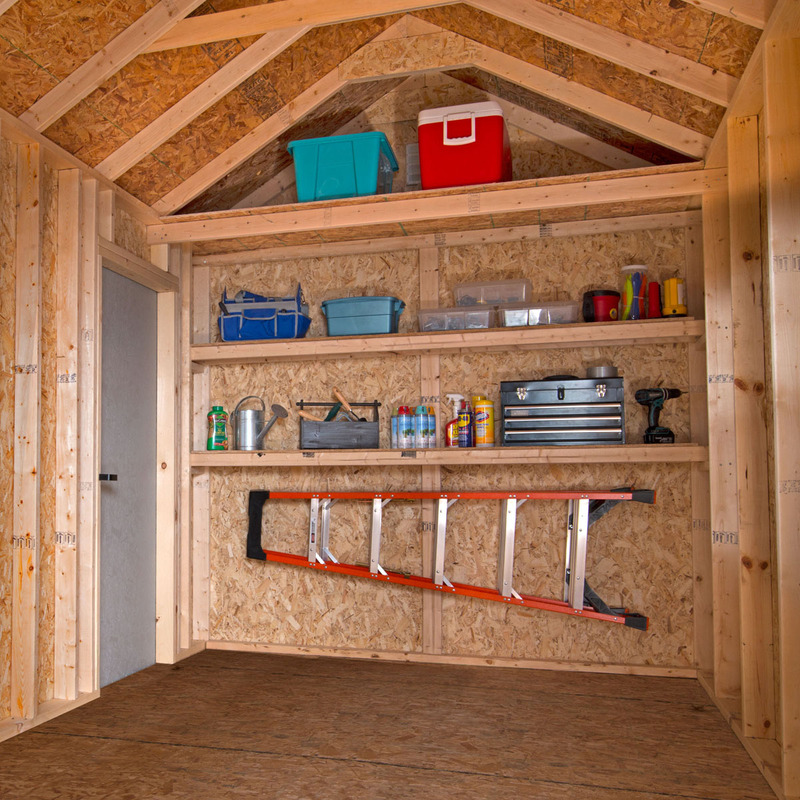 To cap it all off, this wooden shed comes with a spacious loft that’s perfect for overflow storage, and for keeping your floor clear and accessible. There’s no end to the adventure with the Montclair, where you have everything you could dream of right at your fingertips. 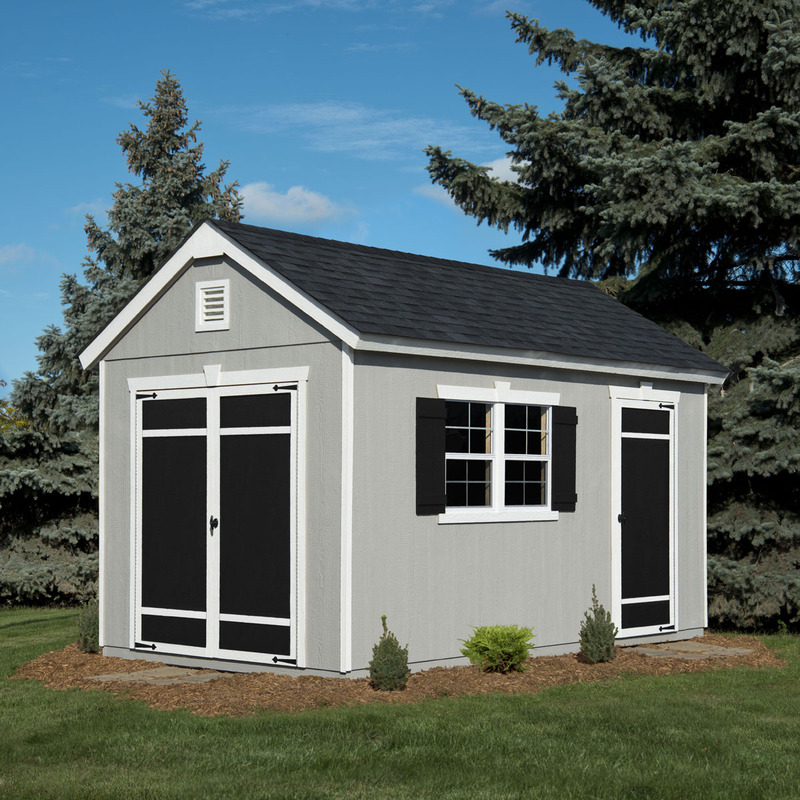 A truly standout design; the Montclair gives you one-of-a-kind convenience that transforms your backyard into a destination for productivity, relaxation, and fun. With the finest wooden build, spacious 8'x14' design, and unique styling, this outstanding shed fills your every need; whether you’re looking for a she shed or man cave for personal relaxation, a picture-perfect workshop space, or simply a great spot to store your lawn equipment, children’s toys, or boxes of seasonal clothing. 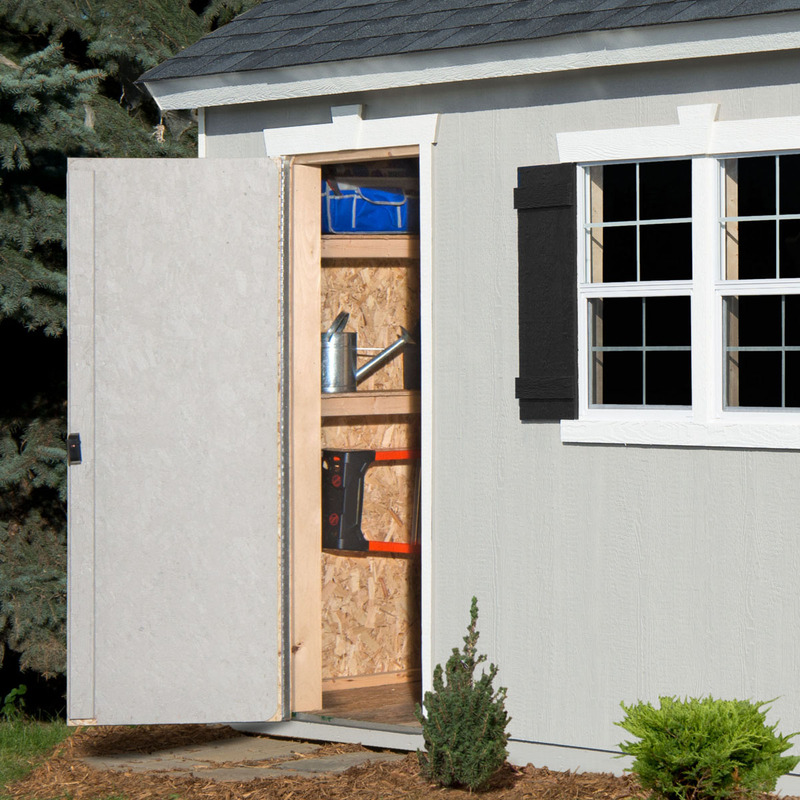 Customize your shed by choosing your desired color, add more windows for extra natural light, or increase shelving to maximize your wooden storage space. 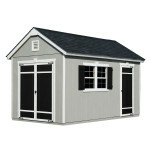 With this deluxe backyard shed, the possibilities are truly endless. 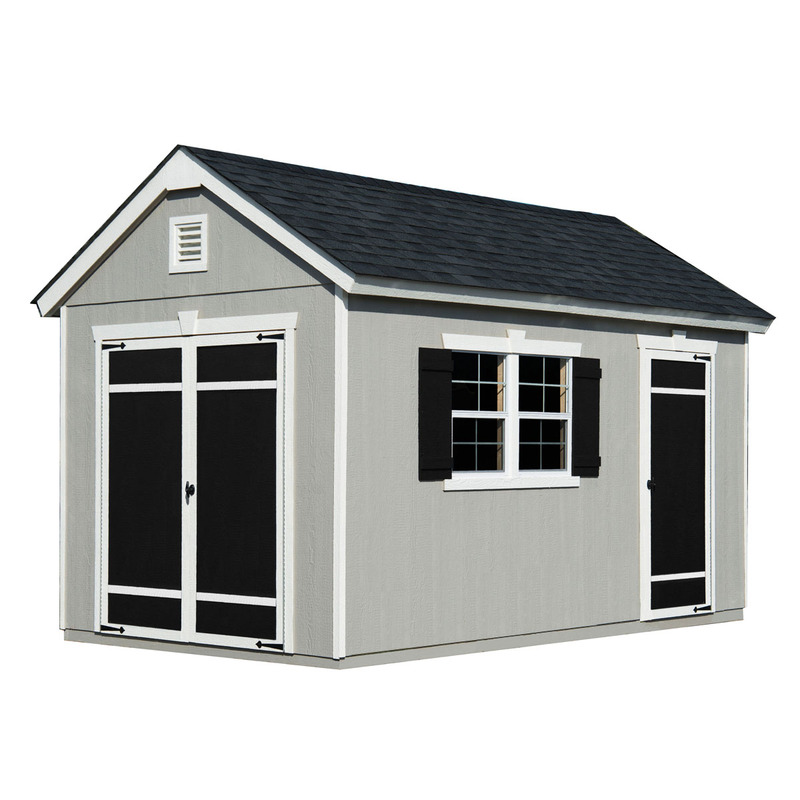 With its exquisite and innovative style, tons of friendly add-ons, and irresistible charm; the Montclair 8'x14' wooden shed makes your backyard a haven for organization, accomplishment, and fun. 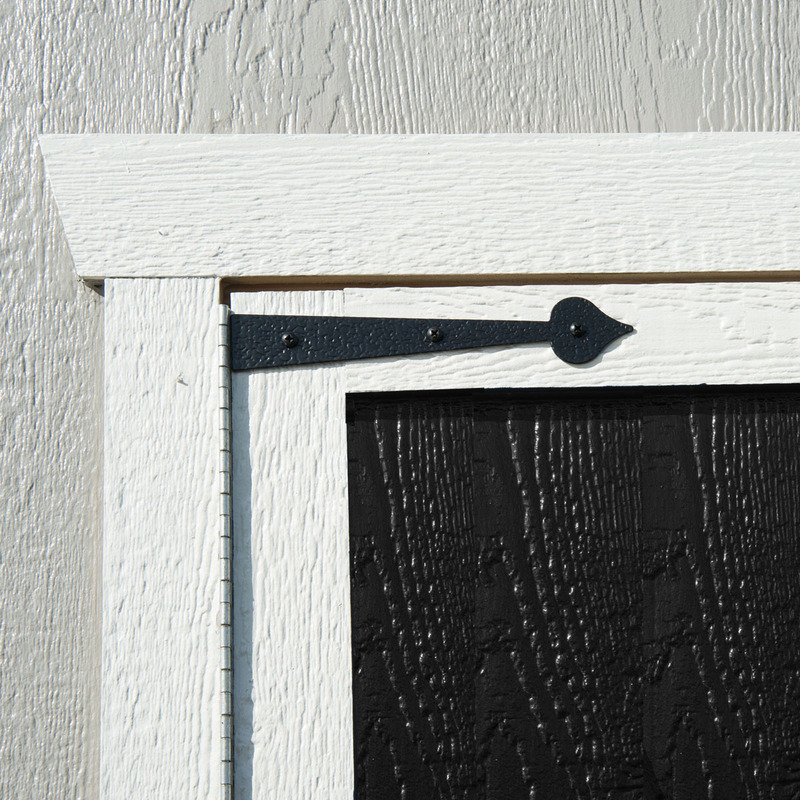 We give you a convenient, 7-year warranty – so you know Backyard Buildings is at your side whenever you need. 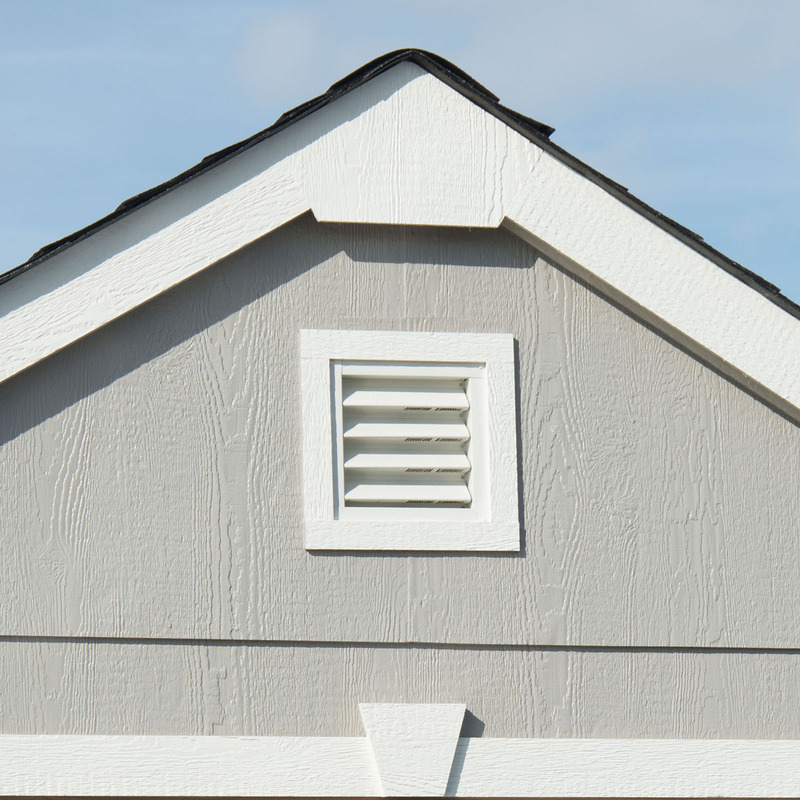 From art projects to storage, potting new seedlings to watching favorite movies – the Montclair backyard shed puts the power in your hands, and gives your whole life an upgrade. Common Size (w x d x h) 8' x 12' x 9'-7"
Actual Interior Dimensions (w x d) 96" x 168"
Actual Floor size 96" x 168"
5 years later and it is STILL looking/functioning like new! We had a problem with our HOA after the shed was put up and it literally took no time for this company to come accommodate!!! 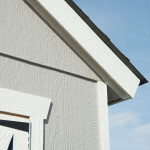 They were fast, and precise, and used quality materials to ensure we will have our shed for many years to come. 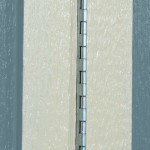 Great attitudes, hard workers, and excellent customer service. We WILL be using them again for our next home!